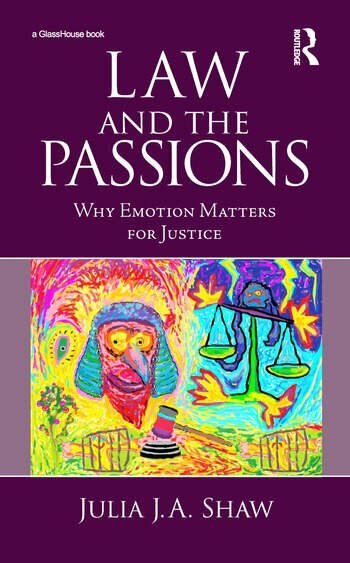 Engaging with the underlying social context in which emotions are a motivational force, Law and the Passions provides a uniquely inclusive commentary on the significance and influence of emotions in the history and continuing development of legal judgment, policy formation, legal practice and legal dogma. Although the emotionality of the law and the use of emotional tropes in legal discourse has become an established focus in recent scholarship, the extent to which emotion and the passions have informed decision-making, decision-avoidance and legal reasoning – rather than as simply an adjunct – is still a matter for critical analysis. As evidenced in a range of illustrative legal cases, emotions have been instrumental in the evolution of key legal principles and have produced many controversial judgments. Addressing the latent influence of fear, hate, love and compassion, the book explores the mutability of law and its transformative power, especially when faced with fluctuating social mores. The textual nature of law and the impact of literary forms on legal actors are also critically examined to further elucidate the idea of law-making as both rational and emotional, and significantly as an essential activity of the empathic imagination. To this end, it is suggested that critical scholarship on law, the passions and emotions not only advances our understanding of the inner workings of law, it constitutes a fundamental part of our moral reasoning, and has the capacity to articulate the conditions for a more dynamic, adaptable, ethical and effective legal institution. This interdisciplinary book will be of interest to scholars and students in the field of law and literature, legal theory, legal philosophy, law and the humanities, legal aesthetics, sociology of law, law and policy, human rights, general jurisprudence and social justice, as well as cultural studies. Julia J.A. Shaw is Professor of Law at De Montfort University, Leicester, UK. Her interdisciplinary scholarship spans legal theory, law and the humanities, critical and cultural legal studies, and human rights. Recent publications include ‘Law and the Literary Imagination: the contribution of literature to modern legal scholarship’ in The Palgrave Handbook of Philosophy and Literature (2018); ‘From Beethoven to Bowie: identity framing, social justice and the sound of law’ in International Journal for the Semiotics of Law 31(2) 2018; Jurisprudence (3rd edition, Pearson 2018) and Corporate Social Responsibility, Social Justice and the Global Food Supply Chain (Routledge, 2019).